Homeowners aspiring to purchase a lakeside dwelling with convenient connection to the city centre will need to act fast if they want to secure one such unit at Lakeville Residence in Taman Wahyu as its final block launch has seen a 92 per cent take-up. The launch opened up 120 units from the lowest floor to 15th floor, of which 110 units have been taken up, leaving units from 16th floor to 41st floor open for bookings. 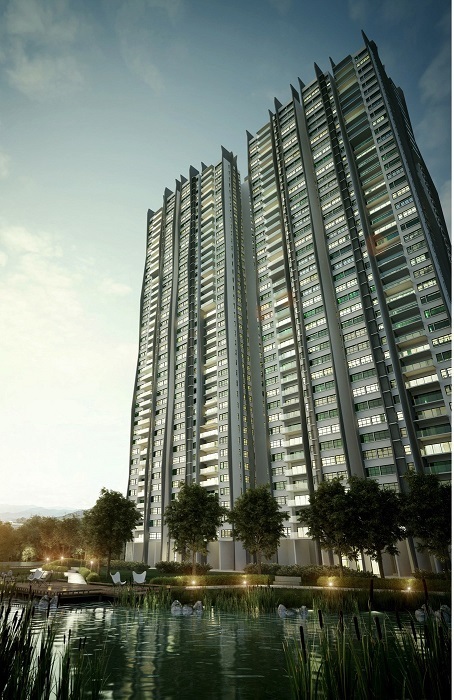 Pegged from RM598,000, the final tower features 327 units and comes with eight different built-ups ranging from 977sq ft to 1,359sq ft. The RM1.5 billion Lakeville Residence consists of six residential towers, three-and four-storey retail shops and SoFos. Mah Sing Group Bhd’s group managing director Tan Sri Datuk Sri Leong Hoy Kum said one of the factors that contributed to the good response is the location of the development in the heart of Kuala Lumpur, which is easily accessible via main roads and public transport, and is only a stone’s throw away from KLCC. With an average booking of RM51.1 million per month, the entire development with six residential towers, retail shops and podium shops achieved RM1.176 billion in less than two years from its first launch in August 2014. The RM1.5 billion Lakeville Residence development consists of six towers of residential suites as well as three- and four-storey retail shops and Small-office Flexible-offices (SoFo). Situated on 12.38 acres of land, Lakeville Residence has a nature-themed facilities podium that stands on 3.11 acres of lush landscaping featuring 38 different viewing points with 38 amenities to cater for all walks of life, making it one of KL’s largest thematic private facilities area. Sited on top of the parking complex, it features 10 themes including the relaxing view that offers a 50m swimming pool, wading pool, pool deck and aqua gym; the tranquil view with a tea garden and reading garden; the calming view with a meditation deck and reflexology; the playful view with a maze garden and playground; the invigorating view with a futsal court and jogging track; the delectable view equipped with a pizza oven and BBQ pits and three viewing decks. 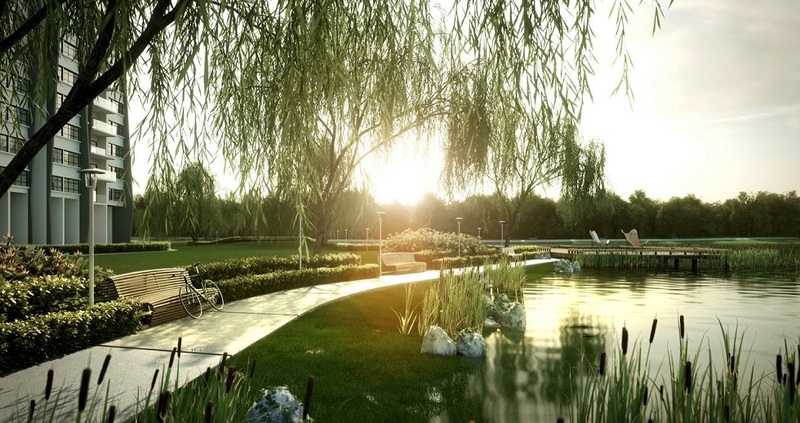 There is also a public park between the lake and the development. In addition, a clubhouse offers amenities such as a meeting room and multi-purpose hall. All these are provided for the community to grow, relax and discover recreational needs that define a healthy community. Like all high-rise developments, residents here are assured peace of mind with the instalment of multi-tier security. Lakeville Residence has a picturesque frontage skirting the lake shore and Mah Sing has allocated RM3.6 million to beautify the areas and fringes of the lake as part of the initiatives under the River of Life Project. This is in line with its aim to improve the water quality from the current Class III to Class IIb (suitable for body contact recreational usage) by year 2020 through three major processes which are river cleaning, river master planning and beautification, and river development. The development is situated along a prosperous stretch of vibrancy along Jalan Kuching, well connected with Jalan Ipoh, Jalan Kepong, Duta-Ulu Kelang Expressway (DUKE) and the Middle Ring Road (MRR) 2. It is only 15 minutes away from KL city centre whilst the KTM train service will offer easy commuting into the city. Besides the existing convenient accessibility, the link road to Kepong is currently at 70 per cent completion alongside the proposed link road to Tesco, which places the project only minutes away from matured townships with amenities such as public transportation, schools, commercial business centres, convenience stores and healthcare facilities. The development is targeted to be completed by 2020.